When there is something wrong with my Windows 7 desktop PC, I tend to hammer on the F8 key during boot to get into the advanced boot options. Here I can then repair or recover from issues that I may experience at that time. With Window s8, that process will be completely different. The main reason for this is the fast boot time of the operating system according to Microsoft. Or, more precisely, the interval that the operating system will recognize the F8 key. Windows 8 users have 200ms to hit that key during boot. 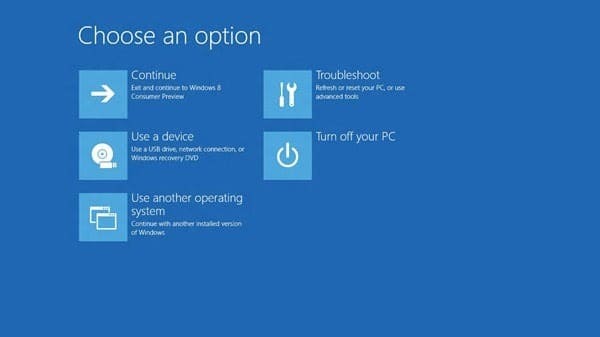 If they miss by one second, Windows 8 will skip the advanced boot menu and boot right into the operating system. To put this into perspective, users who type fast manage to hit four times the F8 key in a second, which results in individual key press intervals of 250ms. If you do not get the timing perfectly right, you will bypass the boot menu. That's obviously an issue that Windows 8 users will have to deal with, and Microsoft has decided to change the boot experience to reflect those changes. Probably the biggest change is how the new boot menu is launched. While you can still press the F8 key frantically on boot, you may need multiple times to get the timing right. 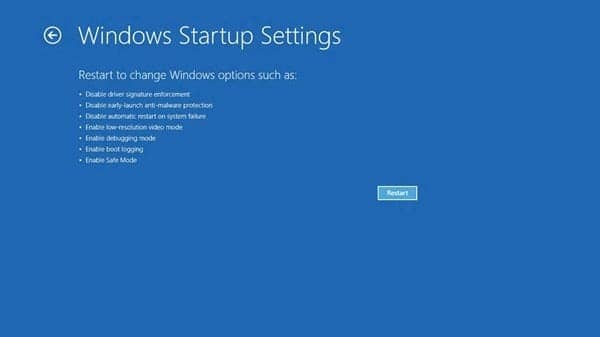 When your in Windows 8, you have multiple options to configure the operating system to display the advanced boot menu on startup. You can click open the Settings charm and load the PC settings here to configure the option. You reach the Settings charm for instance by moving the mouse in the lower right corner of the screen. You can alternatively hold down the Shift key before you click on the system's Restart option, or run the command shutdown /r /o for the same effect. 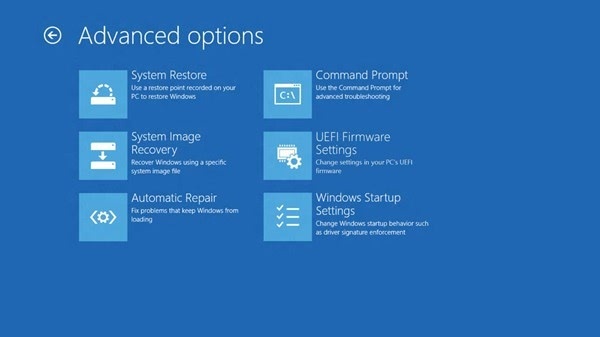 Microsoft furthermore has integrated automatic options to display the boot menu, for instance when errors are noted during boot, or when the operating system is running. This in itself is a pretty big change, but that's not all of it. 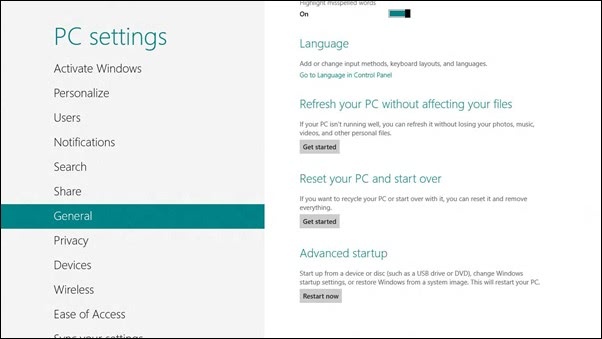 The advanced boot menu has been redesigned completely, to match the Windows 8 theme. As you can see, the menu looks completely different from the advanced boot menu in previous operating systems. From here you can reach the repair and recovery options, as well as configuration options. The menu is now divided into multiple screens, which veteran Windows users will have to get used to at first. What's your take on the new boot menu, and the options to load it? What’s my take on the new boot menu? Doesn’t really matter as I still haven’t found one good reason to ever wanting to downgrade to W8. I’m not sure I understood this – users will need split second timing to get into the boot menu? Why is this good or useful? It is one of the drawbacks of the faster booting, that’s all. Still waiting to hear anything about 8 that would lead me to even have a passing interest in trying it. And the more I read about it, the more I hear others saying the same thing. It will be interesting to see what MS eventually does about it all. Ballmer just said that Microsoft expects to sell 500 Million Windows 8 devices by end of 2013. Wonder if OEMs will give a downgrade CD with each PC like they did with Windows 7. What if I need to enter the bios to change boot device ? how much time will I have ? 200ms is not enough. Thanks for the link, ilev – it looks like this is not a problem after all. If you have an “old-fashioned” one, you have as much time as before. Microsoft seems to really want to dominate the computer world. windows 7 operating system is a very beautiful and fast. presence of windows 8 will complete the the success of Windows 7 earlier.